Car emissions down 20% since 2000 | What Car? New car CO2 emissions continued to fall in 2010 with a drop of 3.5% compared with 2009, figures from the Society of Motor Manufacturers and Traders (SMMT) show. Since the SMMT started its CO2 report in 2000, average emissions from new cars have fallen by 20%, from 173.5g/km to 144.2g/km. The 2010 reduction of 3.5% is the 10th successive fall, but is slightly smaller than the 4.7% drop recorded in 2009 and the 4.2% decrease reported in 2008. Difficult economic conditions and the scrappage scheme have encouraged people into smaller cars and helped with these bigger reductions in average levels over the past three years. The EU has told manufacturers that by 2015 the average CO2 for their ranges must be a maximum of 130g/km. Manufacturers face large fines for failing to hit the target which, it is proposed, will be lowered to 95g/km for 2020. 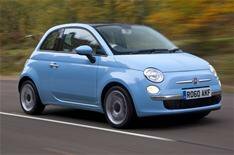 Car makers are on track to meet the 2015 standard, with Fiat, Mini and Smart achieving the goal in 2009. Fiat's range of cars has the lowest CO2 of any manufacturer, falling by 4.7g/km to 123.1g/km in 2010. Its low emissions mean the Fiat Group, including Ferrari and Maserati, already achieves the 2015 standard with 125.9g/km.